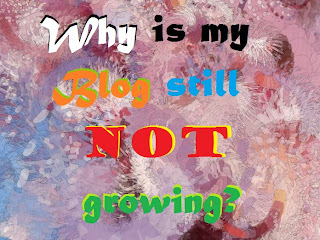 Why is my blog still not growing? It has been over a year since you started blogging seriously, you’ve written scores of articles and blog posts. According to you, as you keep on writing articles the content and the pages on your blog will increase leading to more places visitors will be attracted to. So, as a cumulative effect, you should be getting more and more visitors every day. But, none of the things are happening and you find that however hard you’re trying nothing seems to be enough. Now if you’ve taken all these precautions, and still not getting results, This article will help. 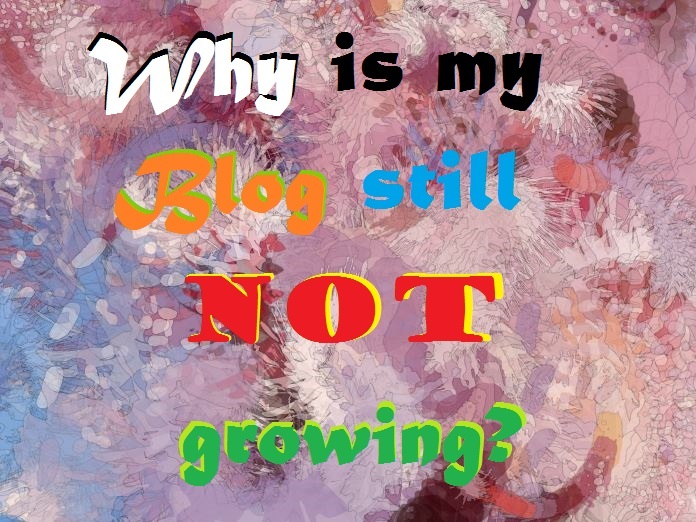 The only thing you’ve forgotten until now is the analytics part of a blog. Small business owners and amateur bloggers use web analytics to test their website but the only thing which attracts their attention is the number of visitors coming on their websites. Some even go to the extent of finding the source of visitors (country) or web browser. But that is not enough, in a cut throat competition of ours when blogs miss higher rankings by just a few points, it is very important that you do something better than the others and something more than the others. 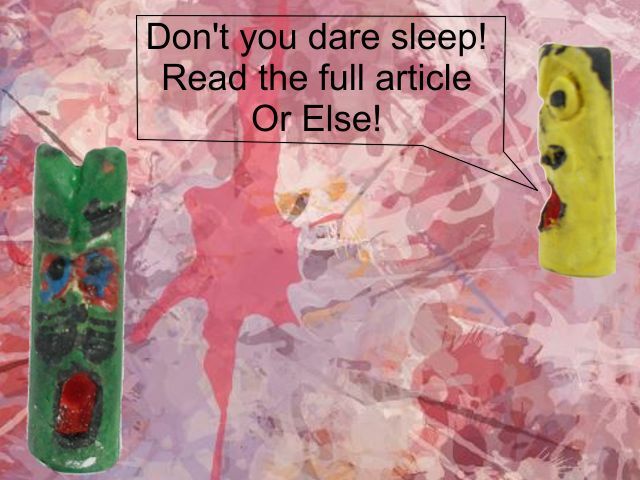 Is your content curing insomnia? Blogging atmosphere is all about helping people in your own language. As I have rightly said before, a typical blog is no place for lengthy formal discussions. One must find it in himself to avoid boring people. When a person reads an article on your blog and finds it utterly uninteresting, The same person would refrain from browsing through other articles on your blog. This would lead to visitor bouncing, which means visitor not going through your articles once he has gotten inside. If this process is applied for a large number of visitors it is visitor bounce rate, which means the number of visitors moving out of your website once he/she has read a particular article on your website. You can try to increase your bounce rate and everything in the books from SEO to SERP, then try something fundamental like your content in the visitor’s perspective. Your readers might have some trust issues if they do not know who’s writing the article or who’s teaching them. Usually people do not have the time to check out the author of the content and they just believe whatever is written, just because they have to as they’re busy and just came here for a quick fix. But not all people are like that. Many of the visitors who come to your webpage might have time on their hands and are just browsing for fun. Now listen, such people should be seen by you as gold encrusted diamond hatching hens that poop silver. Why? Because it is those people who have the time to comment increasing user interface with the website. It is those people who have time to check you out on the social networks like facebook, twitter or foursquare. They are the most loyal visitors because they would bookmark your website if they find it useful; they would send friend requests to you if they are interested by way of your writing. So try looping in such visitors. What should you do to handle their trust issues? Create an ‘about page’, many bloggers are shy and refrain from writing about themselves. But in this world of cutthroat competition you must write about yourself. This will help users know about you and this will add value to your product. Visit this page to know how to create an awesome about page. A widely read blogger is one who has taken the pains to research and present his findings in a marketable way. But there is one thing that is innate in every successful blogger, originality. Such blogger just reads some material at some post, find it interesting, copies it to his blogging platform and starts changing the language, hoping it would lead to an awesome blog post. Such techniques do work but only up to a limit. You will receive visitors on the blog, maybe many at some posts because of the change in the keywords of the particular URL. But it all stops right in front of a line before you can say ‘I am a successful blogger!’, Google will touchup its algorithm and you’ll be back from where you started. Create new content, something unique, something original, but never cross your content policies. 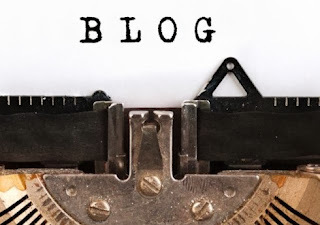 The following Idea was completely ignored by me while writing this article until I came across Rahul Kuntala’s post on why your blog is not growing argued that erratic posting frequency also leads to a halt in the progress of the blog. When a person posts two articles a week, he must maintain the speed and not go for 4 articles in the next week. Some bloggers have discussed an urge to post something at some time which they cannot suppress. A very nice trick to this is by using a scheduler (i.e. schedule blog posts in blogger and wordpress). To know when should you post an article, read here. What comes after writing Quality content? It is indispensable to write content that is brief and dense. As is always said, a good quality content is like buying a car, if you've done your research, you’ll reap its benefits for years to come. But one question must have been bugging the minds of people who already have shining medals of honor on their websites, with contents filled with keywords and densely packed information. What do you do now? The obvious answer is keep on writing great content and you’ll be rewarded with visitors, But I beg to differ; what if there is still something remaining? What if I tell you, this is not the last stop or even better, there is no last stop? After writing many articles on a subject, a time comes when you become an authority on the subject, Now it is time to help other bloggers. There are websites like, sitepronews.com or webpronews.com, who allow bloggers and enthusiasts to write articles for them. The bloggers are then rewarded by a link back from such respected and highly venerable websites. This helps you a lot if you need fast growth. When writing posts, bloggers often face situation known as writer’s block and they limit their writings, as a result keywords do not come to mind and certain well deserved keywords slip out. When reviewing the article again, you view it from second person’s eye and you find the keywords and the labels you’re missing. Correcting grammatical errors you might have created in your starting phases. Some of the best and the most read bloggers use this technique. Here, they dig out an article written quite a long time ago and read comments, take suggestions and update the article. This article is again posted on social networking websites (like pinterest, foursquare, facebook and others) as a new article. The viewers at the social media platforms, see the article and mistake it as new, thereby applauding the blogger’s dedication. The search engines reward the website because it is updated, the viewers reward the website and the blogger by visiting and clicking on ads and the blogger rewards himself a piece of cake from the refrigerator because he is happy, So it’s a win-win-win situation. Communication is the key to success in blogging. Talking to your visitors, commenters and even blog mates is important. 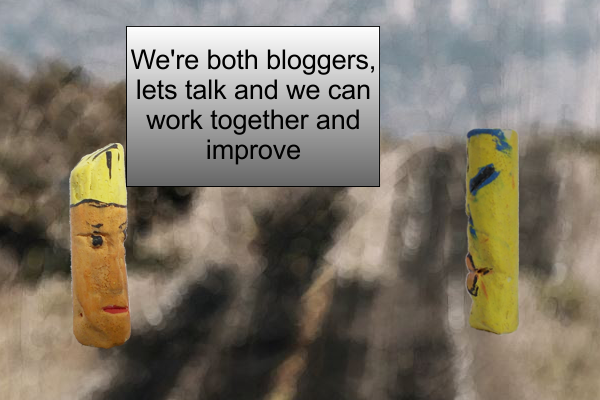 Collaborate and communicate within bloggers in your community. When you do so, you’ll find even more ideas and more methods to improve your blog. For More information, try out codemakit's The SEO and content Guide e-book in pdf. For monetized web developers and small businesses it is always better to be connected via a social media. For once it is also good to publicise your feeds. By publicizing your feeds, you will be taking one extra step to ensure that large search engines like google, yahoo etc, give you higher ranking in their listings. Also, may even gather more audience using this way. For this purpose, a website known as oGoing.com has taken the initiative to bring closer small businesses together, an opportunity which must be tried. Ogoing is founded by Sanjay Dalal , serial entrepreneur & innovator, silicon valley veteran, business coach and community leader. After a small sign-up Procedure, you're ready to go. You can even link your Facebook or Twitter account, such that, your updates are directly featured. Though for perfectionists, the google Adsense can be estimated through formula too. However most website owners and bloggers rely on good old online tools for the job. These are your options, i.e. Learn to predict or anticipate your Adsense Earnings. Adsense earnings can be calculated through both manually and online tools. This post here is to calculate and predict your Adsense earnings manually through formula. You will also know about the keywords and jargon used by website developers all over the world while talking about SEO. The Google Adsense concept is very transparent and clear. The skill required for estimating it is even simpler. the Formula behind any Google Adsense structure is given below. Impression - An impression or page view is a request made by the user to the server to load an HTML type file of a website. usually made by just clicking on the link on a search engine or aother website. Just to clear any confusion, a 'hit' is basically a request made by the user to the web server for loading any type of file. So there can be many hits on a single website, since it can be made of many number of files. CTR - Click-through rate is defined as the number of times a user clicks on an ad as a percentage of the number of impressions of that particular page. For, Example if an ad is shown on your page which recieves 100 page impressions for the duration for which the ad is shown, and during that duration the ad is clicked for 10 times, then you have a click through rate of 10%. CPC - Cost per Click is the amount of money, advertisers are willing to spend on the ad on your website,per click. this ususally is a small number. Flat-Rate - This is a fixed amount of money decided by the advertisers for recieveing a visitor from your site. Bid-Based - This is usually applicable to search listings, where all the bids for the are compared based on location, website, and bid and finally the winner is determined. Bloggers and website owners, do wish, that they earn too keeping their passion alive. Google Adsense lets you have that luxury of earning through your blog or website. Here are some of Adsense FAQ answered. Why Should you choose Adsense ? First and the foremost, you are getting paid for displaying Google ads on your site. Secondly, you do not have to pay anything for the setup. On the third view the ads may beautify your site's look and feel. Finally you can always track your success with online reports. What type of reports ? How does Google Adsense Work ? Contextual targeting - Here the Ads on your page are related to the content of your page. Placement targeting - Google can show the ads from advertisers on the basis of your blog's Geographic location, URL, category of your blog etc. Interest-based advertising - Google through its trackers keep track on your whereabouts, which links you click, which sites you visit, so it can show ads related to your interests and previous interactions with that advertiser. If you feel you've got a grasp of it, you may sign up for google adsense. Though android applications are fast and ever increasing in the market, lets not forget, the applications for symbian phones are still the greatest. To bag the opportunity, web developers around the world use apps to build loyalty for their app and increase unique visitors, to their website. With Nokia’s Ovi Store app builder, a person with zero programming skills can also build an app in minutes. All they need is a website or a blog with an RSS feed. There’s no fees involved and your app created can be published and downloaded on almost all Nokia devices. The Nokia app builder lets you build your own app in minutes just like the landing page says. Here is a 5 - Step process of Creating a Nokia app for your blog or website. Step 1 : Enter your blog or website address. You will be blessed with a preview just then on the right hand side of the screen, as the app builder picks up your RSS feed. Step 2 : You will then be asked for design settings, including your app icon, small banner, color combinations etc. Step 3 : You will need to give some information on your website or blog, your app and its creator. Step 4 : Finally, Nokia OVI app builder will ask your credentials, and personal information, which will be stored as the developer information. without this information provided, the app will not go online. Step 5 : The website finally asks your formal permission to submit the app, you've just created. Finally After a few days wait, Your app will be published and It will look like this. When you have enough posts to your credit, and you need to convert them to store them as pdf, to your computer. You need to look in the following online ebook creators. If you aim at creating a website for the long run, then you'll definitely need an email account to go on. Now personally I feel that, at this point of time, gmail is the best mail service I've ever got. Usually I would encourage people to use it, as it would provide an excellent platform to collect news about web development, subscription to websites and web blogs, etc. But the main problem with that is, If you want some one visiting your website to be contacting you, then providing them with an email address as websitename@gmail.com would shatter your reputation. You cannot give your email Id as your personal email address would prove unprofessional. So the choice comes to you, whether you buy a custom domain from some web service provider or pay google to give you a custom email Id with a custom email address. The emails which would stand in the parameter of address and functionality can be ranked as etc. care to email, hotpop, Zapakmail, Myspacemail, facebookmail, fastmail, aimmail etc. If you find some mail useful enough and want a break then you may also nominate the mail you've found good at http://email.about.com/library/users-choice-awards/bl-readers-choice-awards-nominate-your-email-favorites.htm. Didn't find your perfect email? go to the part II of this series where more discussion will be done on emails.